I know my daughter is wonderful but today she exceeded herself. I was planning to go and see her for the day and this would usually mean a shopping jolly and probably lunch out. I received a text message to wear "sensibleish shoes" as she thought it would be nice to get a bit of fresh air - it was a gorgeous Autumn day (even though it was only 7C first thing this morning). Anyway, after a nice cup of tea we headed off in an unusual direction, towards Newark. She said she hoped she could find where she was taking me, if not we'd just enjoy the drive. 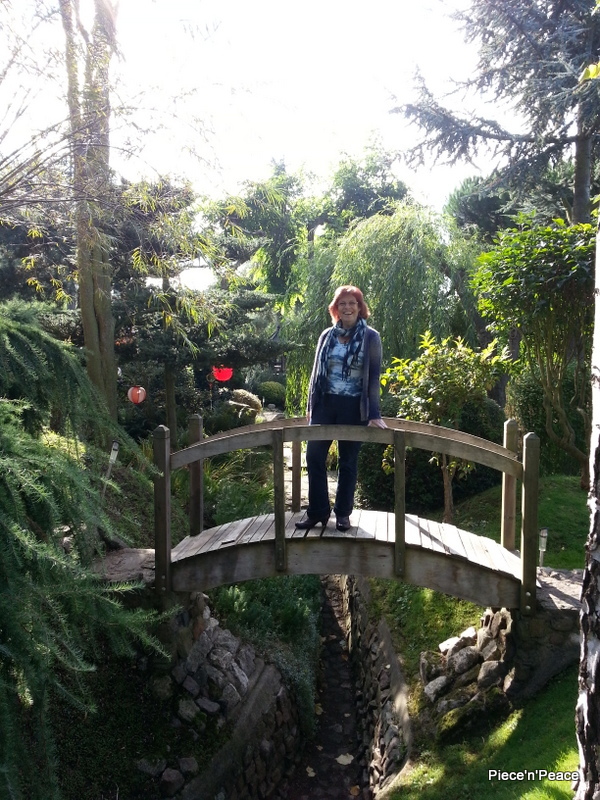 In a tiny village she found what she was looking for - and nearly had me in floods of tears - a Japanese garden. 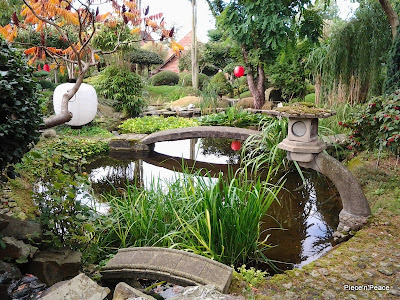 I was overwhelmed, a Japanese garden in rural Nottinghamshire? 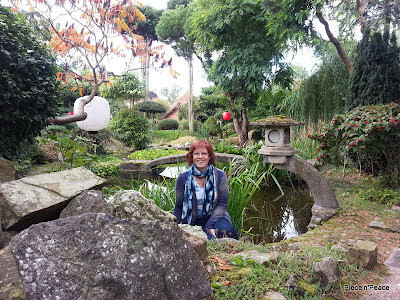 She wouldn't tell me how she discovered it, I don't suppose she just Googled "Japanese gardens near my house". What a treat it was. 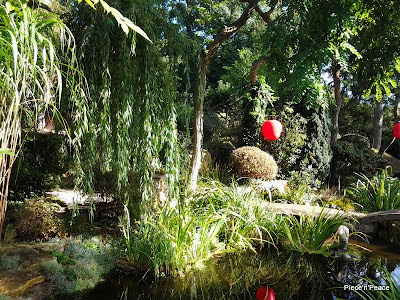 We had the garden to ourselves for a while and enjoyed the peace and quiet, the sound of the water, the birdsong. The Autumn colours in the garden were magical and we spent a long time sitting and chatting in one of the viewing points, bliss. And I just happened to be wearing one of my Fujino indigo scarves. I didn't have my camera with me but took a few pictures on my phone, as did Saz, and so here they are, and here's the Pure Land website in case you are ever fortunate enough to find yourself in the area. 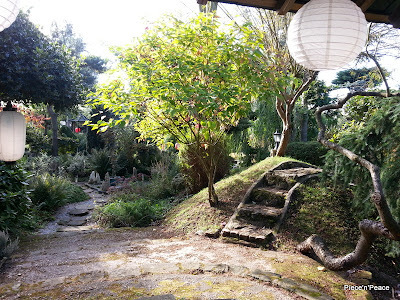 We will certainly be returning, we fancy a "lantern lit" evening walk. What a thoughtful surprise! 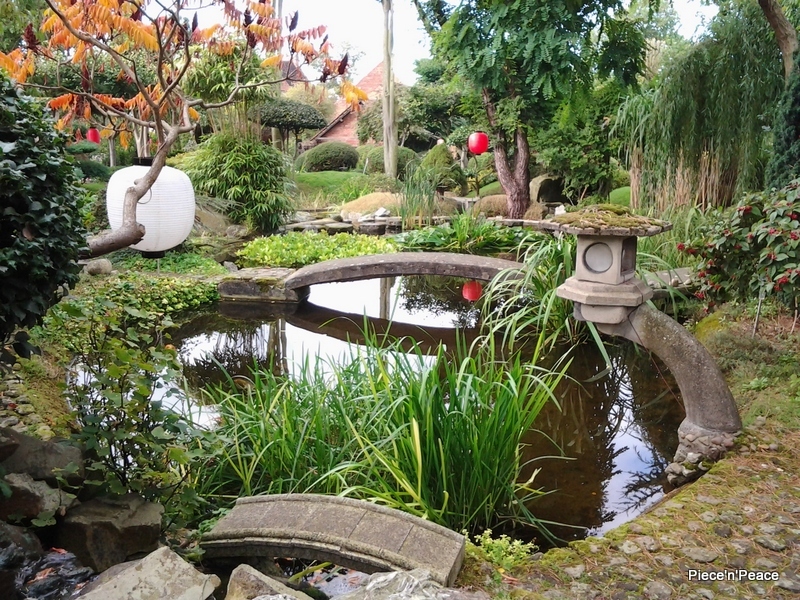 The Japanese garden looks very delightful and had you not told me it's deep in Nottinghamshire I would have placed it in Japan, of course. That's a wonderful surprise, your daughter certainly scored some brownie points with this one! Isn't it nice when our children find something very special for their Mammas? I am surprised though, your shoes don't seem sensible at all to me! And my daughter took me to one with a tea room in Boston. Aren't daughters the greatest! What a lovely thing to do! What a thoughtful girl - and clever that she managed to keep it a secret too! Beautiful, and perfect, and so very thoughtful!!! 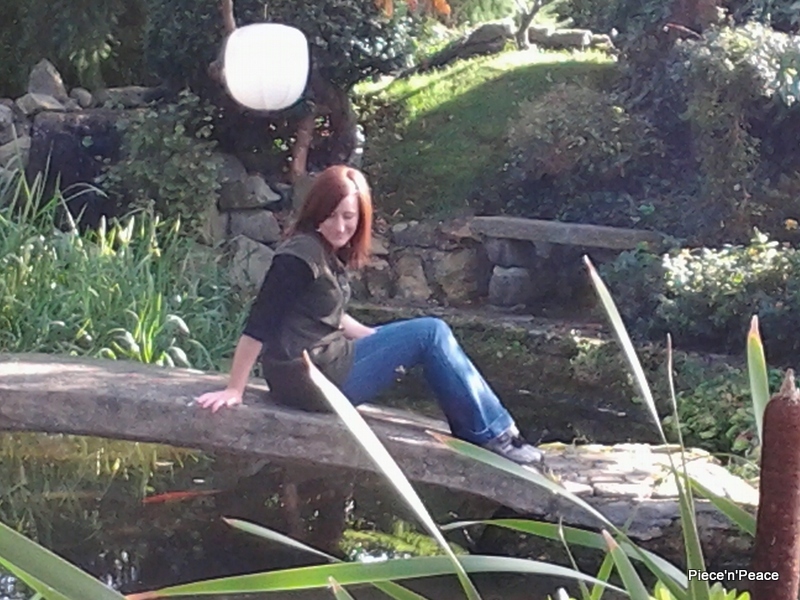 it's enchanting, what a wonderful day. a great picture of you and your scarf. like Blandina, I'm not sure your shoes are sensible. What a delightful surprise. It's amazing what loving respectful daughters can do spontaneously. 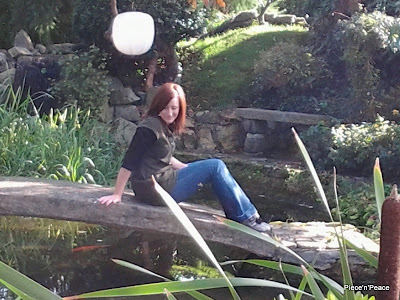 Beautiful garden, how nice to spend quiet relaxing time with your daughter!